MAYOR Mark Jamieson fears moves by his Gold Coast contemporaries could sink his council's work to bring an international broadband cable to the Sunshine Coast. Gold Coast City Council has declared it is ready to bring a cable ashore should the Sunshine Coast bid fail. It wants to attach to an existing international cable that already connects to Sydney, having completed a feasibility study since first signalling interest in a cable in 2011. Sunshine Coast Council is investigating commercial interest in bringing an entirely new cable ashore by 2020. Its project has included a detailed feasibility study and a $15 million State Government commitment towards its delivery. 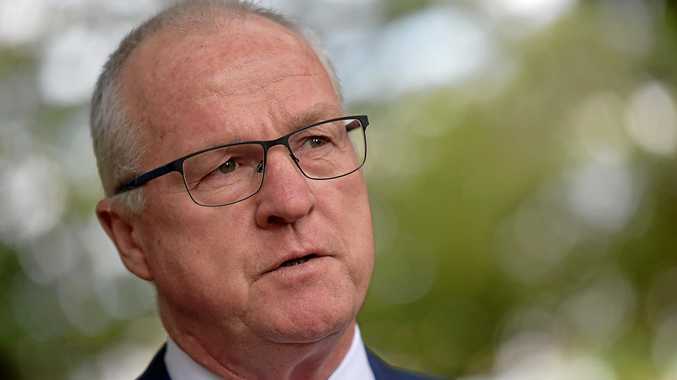 Cr Jamieson has described approaches by Gold Coast City Council CEO Dale Dickson to the State Government around a potential Gold Coast connection as "poor form". It came in a February 6 letter, obtained by the Sunshine Coast Daily, sent from Cr Jamieson to Gold Coast Mayor Tom Tate. In it, Cr Jamieson referred to a January 19 letter sent by Mr Dickson to Minister for Digital Technology Michael de Brenni. Mr Dickson told the minister the Gold Coast had obtained its carrier licence under the Telecommunications Act in June last year and was ready to start obtaining necessary permits and declarations to secure a cable protection zone. "Without foreshadowing the outcome of the Sunshine Coast's initiative, it is prudent to observe that Gold Coast's existing network is likely to be far more advanced in terms of connecting an offshore cable to the existing M1 cable and then on to Brisbane," Mr Dickson wrote. "As such, should it transpire that the Sunshine Coast's process throws up technical or financial hurdles, I am confident the Gold Coast's existing network can be leveraged for significant benefit to the region and Queensland." Cr Jamieson said in his letter to Cr Tate he did not consider Mr Dickson's actions in keeping with a collaborative approach and previous commitments which Cr Tate and other south east Queensland mayors had made to the Sunshine Coast initiative. He said his council had written to Mr Dickson expressing concerns over his actions and their potentially significant risk to the procurement process and commercial negotiations Sunshine Coast Council was undertaking. "As you would appreciate, the submarine cable marketplace is not extensive so the reality is that any signals conveyed by Gold Coast City Council could seriously compromise our council's negotiating position and undermine our current process," Cr Jamieson wrote. "I put it to you Tom- how would you and your councillors feel if another local government in Queensland behaved in a manner that could potentially undermine a significant contractual negotiation or procurement process that your council had underway for a matter of defining regional importance to the Gold Coast and potentially the state?" He said he would raise the matter at the February Council of Mayors- South East Queensland board meeting, which was held last week. Mr Dickson yesterday insisted he was not trying to steal the project. "We are simply ensuring all parties know that we stand ready, should the Sunshine Coast proposal not proceed," Mr Dickson said. He said the outcome of last week's discussions between the mayors remained in confidence but said the working relationship between the two councils was still positive. A Sunshine Coast Council spokeswoman said the council had been working for some years to secure the landing of an international broadband submarine cable on the Sunshine Coast. "Council sees this as a significant game changer for the this region, provide substantial economic and connectivity benefits for business, industry and the community," the spokeswoman said. "Through extensive research and independent investigations, it has been identified that the Sunshine Coast is the first viable landing point travelling south on the eastern seaboard of Australia, where a submarine cable could be brought ashore and deliver a significant benefit to the State. 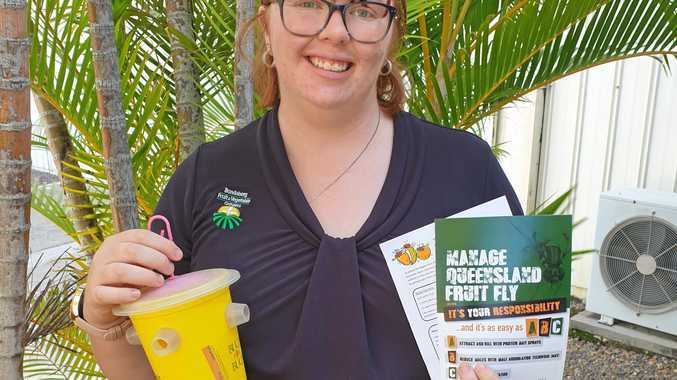 "Council has secured strong support from the Queensland Government for this project, as well as long standing support from the Council of Mayors South East Queensland, the Local Government Association of Queensland and the Australian Local Government Association. "As part of our commitment to be Australia's leading smart city region, we have completed the market sounding process for an undersea cable and called for expressions of interest from suitably qualified providers who want to partner with council to deliver this critical project. She said a new international broadband network would create up to 864 jobs a year on the Sunshine Coast and provide a potential economic boost of $927 million to Queensland. "This is not only a game-changer for the Sunshine Coast, but the entire State."